Darcey was born in London in April in 1969 and attended the Arts Educational School studying all forms of stage-craft before moving to White Lodge (The Royal Ballet Lower School), aged 13, to concentrate on ballet. She graduated into the Upper School in 1985, staying for two years and appearing in the 1986 and 1987 School performances at Covent Garden, before joining Sadler's Wells Royal Ballet (now The Birmingham Royal Ballet) for the 1987/88 season. The late Kenneth MacMillan had noticed Bussell's exceptional technique while she was still a student and cast her in the principal role of his ballet Concerto for the 1986 School performance. During her first season with Sadler's Wells Royal Ballet he chose her for the leading role in The Prince of the Pagodas, his new work for The Royal Ballet, and she consequently transferred between the two companies in September 1988. She joined The Royal Ballet as a Soloist, becoming a First Soloist in September 1989 and, just three months later, on the first night of The Prince of the Pagodas, being promoted again to the rank of Principal. She was aged just twenty at the time. She created two major roles for MacMillan before his death: Princess Rose in The Prince of the Pagodas and Masha in Winter Dreams, which was premièred in February 1991. (The final Farewell pas de deux of Winter Dreamshad been created in advance of the full ballet and was performed at the Queen Mother's 90th Birthday Tribute at the London Palladium in July 1990.) Her other roles in MacMillan's ballets include the title-roles in Manon and Romeo and Juliet, the leading roles in Song of the Earth and Elite Syncopations, the Agnus Dei role in Requiem, Mitzi Caspar in Mayerling and Mathilde Kschessinska in Anastasia. Her classical repertory includes Odette/Odile in Swan Lake, Princess Aurora in The Sleeping Beauty, the Sugar Plum Fairy in The Nutcracker, Nikiya and Gamzatti in La Bayadère and the title roles in Giselle and Raymonda Act III. In the Royal Ballet's Balanchine repertory, she has appeared in the first performances by the Company of Rubies and Stravinsky Violin Concerto (Aria I) and also danced the central roles in Agon, Symphony in C (Second Movement), Tchaikovsky pas de deux, Apollo (Terpsichore), Prodigal Son (Siren), Duo Concertant, Ballet Imperial and Serenade (pas de deux girl). She has also danced the title-role in Frederick Ashton's Cinderella, Monotones II, Sacred Love in Les Illuminations and the pas de deux, Beriosova Variation in Birthday Offering and Les Rendezvous; leading roles in William Forsythe's In the middle, somewhat elevated and Herman Schmerman (pas de deux), the Prostitute in the first Royal Ballet performance of Glen Tetley's La Ronde, the Black Queen in Ninette de Valois' Checkmate, Ashley Page's pas de deux ... now languorous, now wild ..., the company premiere of Twyla Tharp's Push Comes to Shove, Ballerina Jerome Robbin's The Concert and Caroline in Antony Tudor's Lilac Garden. Apart from her MacMillan roles, she has also created leading roles in Twyla Tharp's first work for The Royal Ballet, Mr Worldly Wise (Mistress Truth-on-Toe), Matthew Hart's Dances With Death, Christopher Wheeldon's pas de deux Pavane pour une infante défunte, Glen Tetley's sextet Amores, Mark Baldwin's Towards Poetry, John Neumeier's pas de deux Lento and Christopher Wheeldon's There Where She Loves. During the 00/01 season she created the principal girl role in Michael Corder's Dance Variations and for 2001/2002 she created the lead role in Christopher Wheeldon's Tryst. Both The Prince of the Pagodas and the Queen Mother's 90th Birthday Tribute were televised in 1990, La Bayadère (with Bussell in the role of Gamzatti) followed in 1991 and Winter Dreams in 1992; she danced the Tchaikovsky pas de deux in the Winter Gala televised in 1993 and the Balcony pas de deux from Romeo and Juliet in the Farewell Gala televised in 1997, where she also appeared as the Lilac Fairy in the final Sleeping Beauty tableau symbolising the closure of the Royal Opera House for redevelopment. A South Bank Show documentary on Bussell and her fellow principal Viviana Durante was broadcast in October 1992 and she has been seen in numerous televised galas. In October 1998 she was the subject of BBC1's Omnibus and appeared on television in a Carmen dance specially choreographed for the Lesley Garrett Show by William Tuckett. 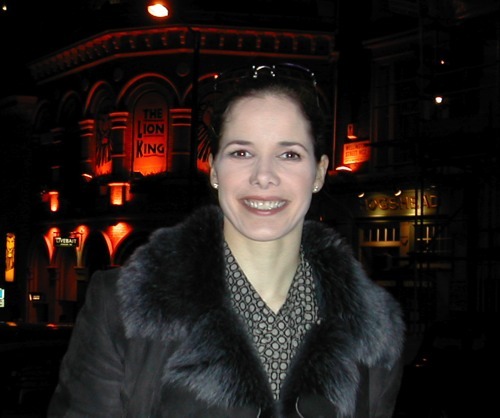 Further television appearances include the Awakening pas de deux from The Sleeping Beauty in December 2004 and the full-length ballet of Sylvia broadcast on Christmas Day 2005 by the BBC alongside a documentary on her called "Britain's Ballerina". Her other TV appearances have included French and Saunders, The Vicar of Dibley, The House and Clive Anderson's Programme. Darcey’s last performance with the Royal Ballet was broadcast live on BBC2. In December 1990 she was voted Dancer of the Year by the readers of Dance & Dancers magazine. In February 1991 she was presented with the Variety Club of Great Britain's Sir James Garreras Award for the most promising newcomer of 1990 and one week later with the Evening Standard Ballet Award for 1990. In April 1991 she was selected as the joint winner of the Cosmopolitan Achievement Award in the Performing Arts category.In October 1991 she appeared at the Gala des Étoiles held in Paris and featuring leading dancers from all over the world. In June 1993 she danced the Agon pas de deux at the Balanchine Gala in New York, returning to dance with New York City Ballet in February 1994 in Agon and Symphony in C, and in Summer 1995 to appear in Balanchine's productions of Swan Lake (Act II) and A Midsummer Night's Dream. She has also guested internationally with several other companies. In February 1998 she danced with the Kirov at St. Petersburg performing the role of Nikiya in La Bayadère. In the 2001/2002 Season she made her debut as the lead couple with Jonathan Cope in Stephen Baynes's Beyond Bach and the Lead pas de deux Girl in William Forsthe's In the middle, somewhat elevated. During 2005 / 2006 season she has guested with Balleto della Scala in Italy and has also danced in Roland Petit's Le Jeune Homme et La Mort in Milan. She has featured in television commercials for American Express and Lloyds TSB and has been photographed by photographers including Mario Testino, Lord Lichfield, Lord Snowdon, Patrick de Matineau, and John Swanell amongst others. She has had modelling assignments with Marks & Spencers, where she featured the "View From" range during the period 2002 ­ 2004, Boodle and Dunthorne, Dunhill's watches, Mulberry, The World Gold Council, De Beers Diamonds for Tatler, Harvey Nicols, Simpsons and Audi amongst others. She has also featured on the cover of many magazines including GQ, Tatler and Harpers and Queen. A full-length portrait of her by the artist Allen Jones RA, commissioned by the National Portrait Gallery, was unveiled on 23 May 1994. She was created an Officer of the Order of the British Empire (OBE) in the 1995 New Year Honours List and subsequently a Commander of the Order of the British Empire (CBE) in the 2006 Birthday Honours list. Darcey is married to Angus Forbes and has two daughters, Phoebe Olivia, born on 3 June 2001, and Zoe Sophia, born on 10 February 2004. Darcey retired from the Royal Ballet on the 8th of June, 2007 with a performance of Song of the Earth, with the last song being was broadcast live on BBC 2.